We are continuing the series of experts talking about APIs and their effect on e-Commerce. 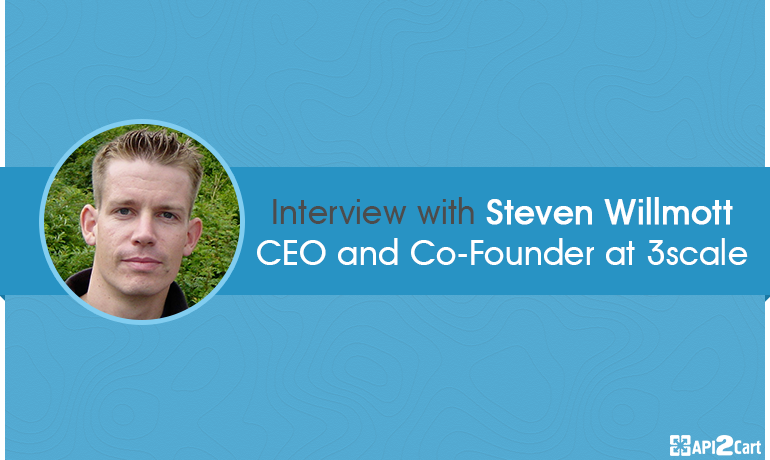 This time, it is Steven Willmott, the CEO and co-founder of 3scale, answering our questions. Steven, you have a considerable experience in the sphere of IT underpinned by a PhD degree in Artificial Intelligence. 10 years of research in the areas of Web services and machine learning indicate your being a broad-minded and hard-working person. Could you share when your passion for computer technologies started? What challenges did you face on your way? I’ve been very lucky in the opportunities I’ve had and the people I’ve worked with. Everything started with my father bringing home one of the early consumer PCs in the late 80s. My brother and I coded some simple games and it went from there. Although I studied Mathematics, Computer Science was always there. After a Masters in AI (Artificial Intelligence) and a PHD in Distributed AI, I got lucky that some of the technology was starting to get to real scale. In the early 90s we built a global distributed system with nearly 160 organizations that linked autonomous systems together using XML over HTTP. The idea stuck, that one day it would be software talking to software, rather than humans talking to humans or humans talking to software. When we started 3scale, the idea that this was becoming reality was still far from widely accepted. The most common response we got in 2007 was “What is an API?”. Today, you are the CEO and co-founder of 3scale networks, and I can surely claim you have achieved a lot in your professional life. What was the inspiration behind the idea of 3scale? I think it’s fair to say that 3scale has achieved a lot, but mostly due to the people in it rather than me. I have the occasional good idea but it’s execution that counts! The inspiration came from seeing the first real growth spurt in APIs materialize in 2007 with things like the Flickr API. This was the sign that A) the complex SOA technology we’d been working with would re-emerge in lightweight form across the public Internet and B) people needed help to make these APIs really work – Flickr’s API at the time was a “best effort” side project. A large amount of credit also needs to go to John Musser (https://twitter.com/johnmusser), whose ProgrammableWeb registry charted the growth of APIs and really become a rallying point for the space as a whole. Time from time, you write on API-related topics. One of your notable works is “The 5 axioms of the API Economy” written together with Craig Burton. Could you give us an outline of the series accompanied with some ideas mentioned? Sure – although APIs are essentially just a piece of technology, they enable new value to be created: both for the provider of the API and the user. Suddenly it becomes possible to just wire a service provided by someone else into a piece of software I’m building – this is a huge step. As more and more APIs emerge, this value does two things: 1) it becomes synonymous with the value provided by each company (an example would be a FedEx API that provides access to shipping – at the extreme FedEx becomes and API and the API becomes FedEx), and 2) new businesses and APIs can be built on that value. Nowadays, there are a lot of talks around API management. What should developers focus on when managing their API in order to achieve maximum results? Is it really crucial to treat an API as a product? As APIs become increasingly important, it’s critical that companies take care of the traffic that’s coming in, where it’s coming from and what rights it should have. They also need to mindful of those developers and apps calling the API – helping them succeed. This is fundamentally management of the API: much like you might manage your company’s Web presence, it means certain functions need to be taken care of. Whether that’s using a platform like ours are 3scale (http://www.3scale.net) or rolling your own, the API needs taking care of. I always feel a little conflicted about the idea of the “API as a product”. On the one hand it feel like progress that the API gets serious product management type attention. On the other, it plays into what I think is a fallacy that the API is a “separate” thing from what the company does. I would say in fact that it is not the case that your API is a product, instead that “it is part of THE product”, and specifically part of the “most important products” your company delivers. Maybe there is a blog post in that ☺. Steven, what is a perfect API for you? I don’t think there is a prefect API, this feels a little like the question of “what’s the perfect website”. It really depends on what the API is delivering (an API for global population data seems more exciting to me than the Seattle Bus timetable, but if Iived in Seattle that would likely be the other way around). Having said that, I think the best APIs take care to cover important use-cases for their potential users: in other words, it isn’t design chops but nailing a real need and providing all the functions for that. Whether it is an e-Commerce API that helps close the loop all the way to purchase (rather than just access to a catalogue) or a mapping API which takes into account how navigation will happen – you know it when you see it. APIs have become ubiquitous in today's digital and business worlds. 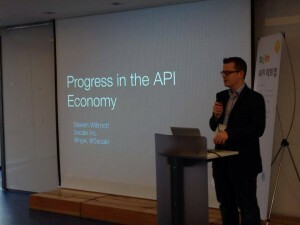 As a result, many derived terms have appeared, and “API Economy” is one of them. Could you explain what it is? The API Economy is the value created by the accelerating amount of APIs that are available. In other words the API Economy is the creation and exploitation of new business opportunities due to APIs. Eventually, in our view the API Economy becomes the general economy since many transactions will be triggered electronically and this will ultimately all become API driven. Now, we are witnessing the era of new forms of interactivity such as mobile apps, IoT, etc. What do you think about the Web revolution and its possible effects upon e-Commerce? I think it’s already affecting e-Commerce and, as it proceeds, the impact will be profound. Why? Because people are most likely to buy in context and APIs allow sellers to get deeper into the users’ context. The best example here is the new Amazon Dash “BUY Button” (https://www.amazon.com/oc/dash-button) - this is almost the purest form of how APIs can affect eCommerce (is it still eCommerce, or is it IoT Commerce?). The button makes a single call to purchase a single good just by being pressed. There is still a “check” step today, but I’m sure that’ll fade. The lesson here is – be where the user wants to buy. To put the finishing touch, could you tell us your predictions about the future of APIs and its business value? APIs are logical evolution of the current Web and Apps: the connection to the server levels that allows any piece of software to get data or execute a transaction. It’ll be hard to imagine life without APIs pretty soon. On the other hand I think many people don’t realize that this means we’re increasingly building real distributed systems and that entails worrying about some hard problems! A couple of presentations on that: http://www.slideshare.net/3scale/how-apis-are-changing-software-development and http://www.slideshare.net/3scale/as-software-eats-the-world-apis-eat-software .